At ConSet we offer a large array of different series of desks, all of which are electronically operated. Electric operation means that adjusting your desk is virtually effortless. 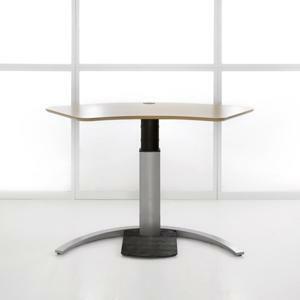 The adjustable desk allows one to avoid the harmful side effects associated with sitting at a desk all day long. We offer desks with the added safety feature of two buttons that must be pressed in unison to avoid accidental operation of the adjustment mechanism. 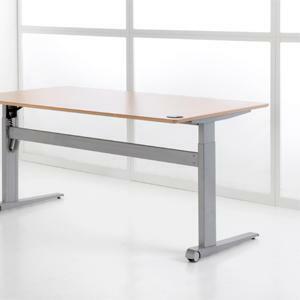 We provide completed electric desks or just the electric frames for the desks. 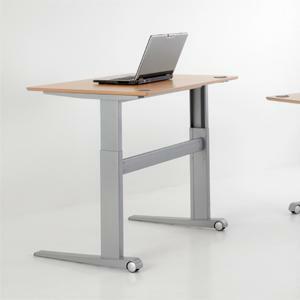 Standing or sitting and everything in between with electric ConSet desks. Webcatalog , desks in different series. Pay-offs from electric ergonomic desks. We strive to make all relevant information available on our website. Should you need more information, please send a request to us. This will help us to continue to refine our website.